Starting July 24th, we’ll be celebrating #Fortnite1st with a limited time in-game event! You can earn special birthday cosmetics by completing birthday challenges and quests in-game. 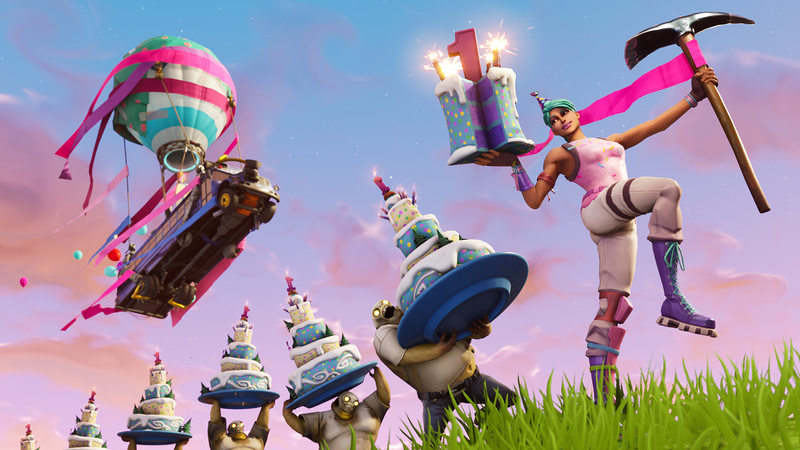 From the birthday Battle Bus to the sploder husks carrying a tasty surprise, we can’t wait to party with you! The in-game celebration lasts until August 7! Jump in-game and join the celebration on July 24. Happy 1 year everyone!